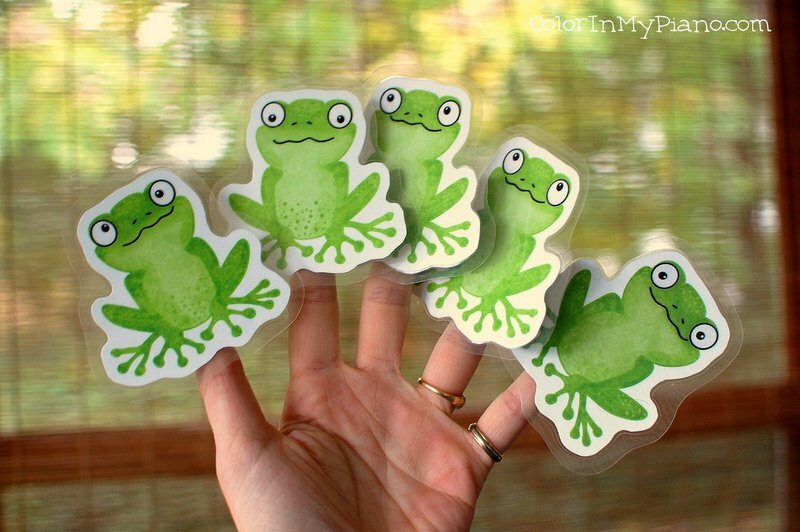 After cutting out each frog, I laminated them too. 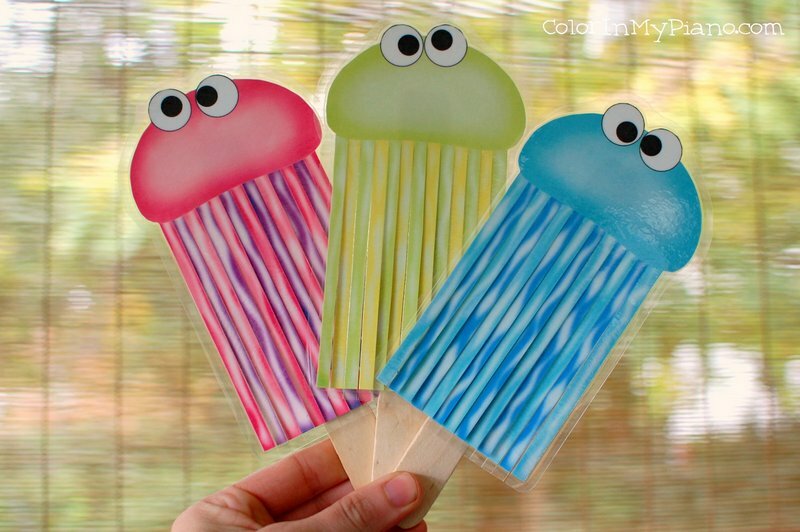 Aren’t these puppets adorable?! 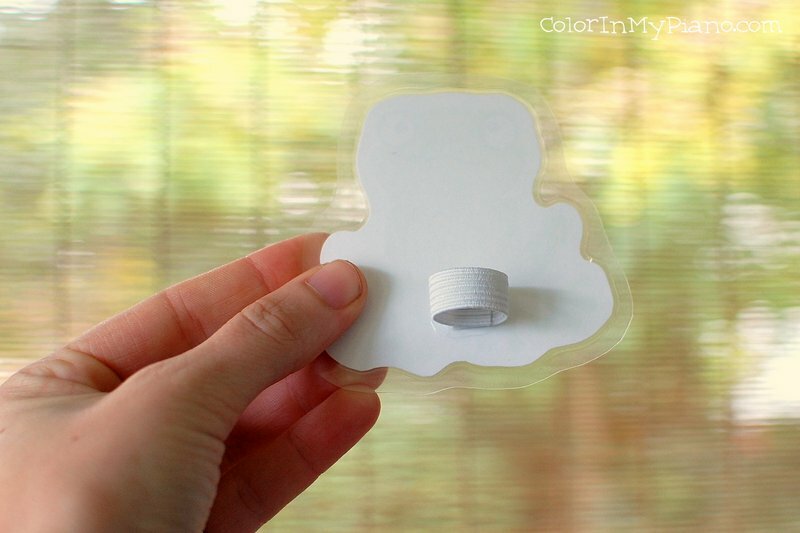 I glued a circle of 3/8 inch elastic to the back of each puppet using strong craft glue. 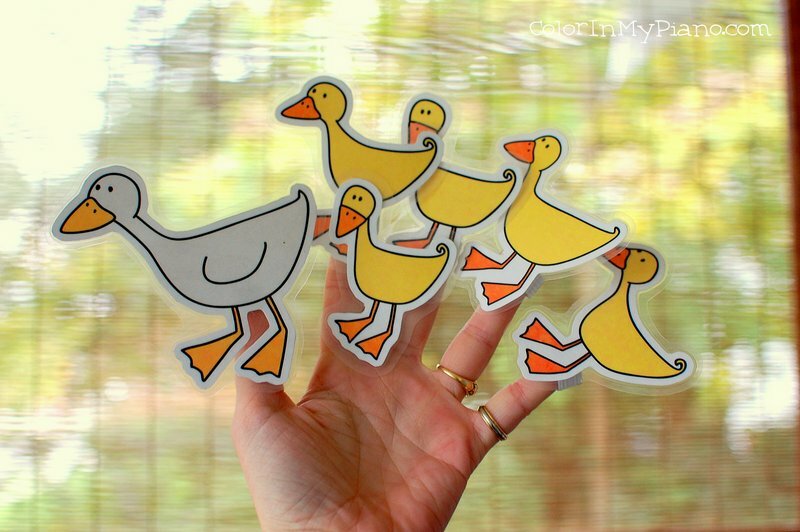 Here are her Five Little Ducks puppets. 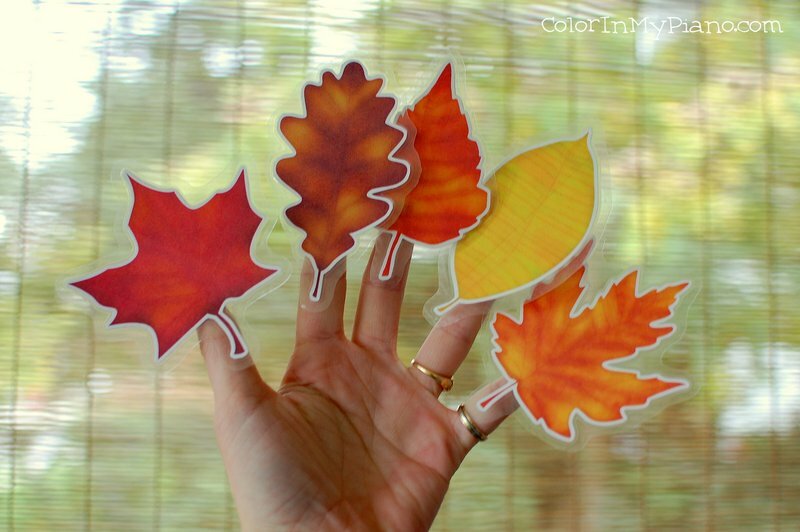 I also love the Five Golden Autumn Leaves puppets she shares. I had never heard this fingerplay before, but I love it and so does my nephew! The last one is Three Jellyfish puppets. Kate curled her jellyfish tentacles, but since mine are laminated them I left them straight and just cut them apart. Lordy – these are ridiculously adorable! Thanks for sharing! Thanks Joy, these puppets gives me a great idea for my teaching. So glad you are enjoying our finger puppets! I makes my day to see how people all over the world are using them!